Andy Warhol x Campbell's soup cans 2012 with Keith Haring's Andy Mouse. Photo by me. 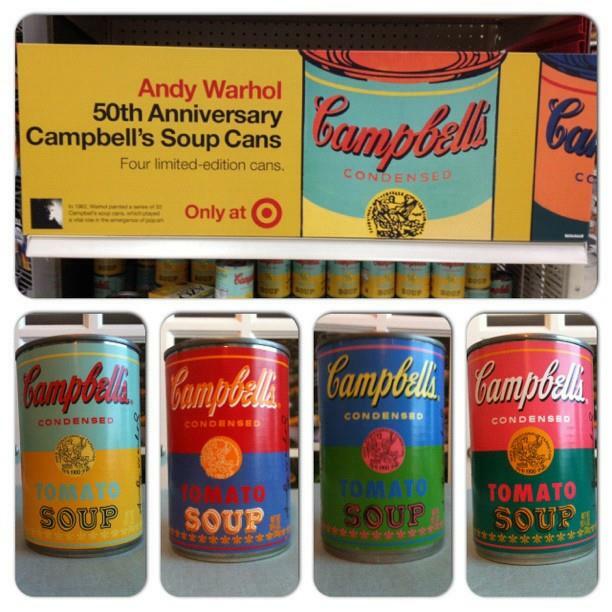 Over the weekend, Target, a brand known for its TV commercials that inject enthusiasm into household objects, began selling limited edition Andy Warhol Campbell’s Soup cans. 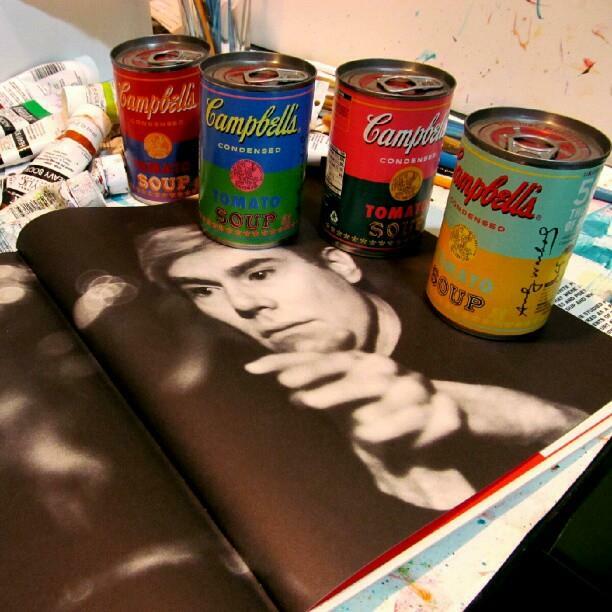 If the relationship between Warhol and Campbell’s seems like a perfect match, Campbell’s and Target are good bedfellows as well. 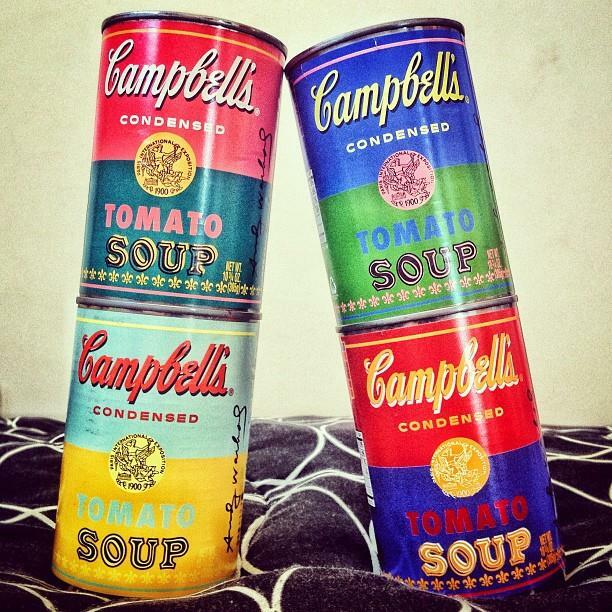 Last year, Campbell’s got a new CEO and a mandate to make its products more “hip”. I can remember when a new Target sprung up next to K-Mart in my town in the mid-90s, and the former “out-hipped” that latter right out of business. 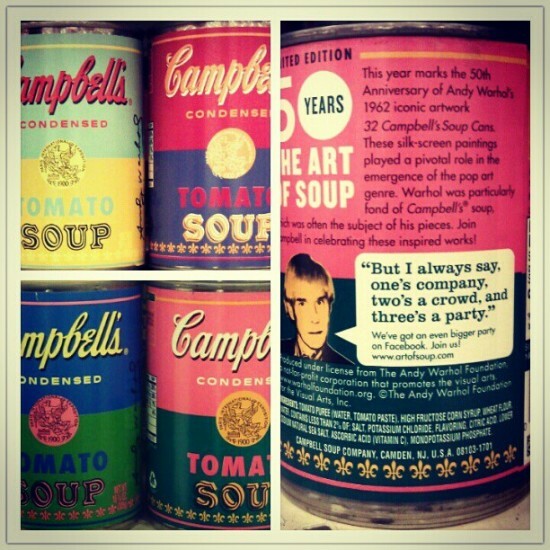 Andy Warhol x Campbell's soup cans from Target. 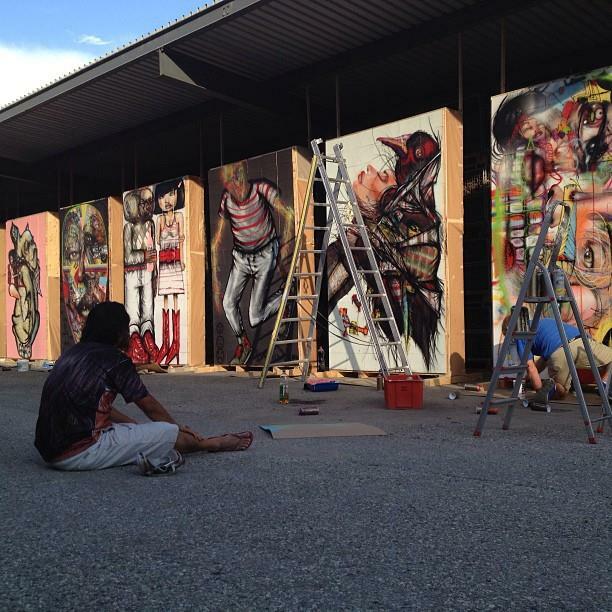 Photo by Brent Nolasco. Campbell’s wasn’t always a fan of Warhol’s work, but by 1964, they realized what a boon it was for their brand. 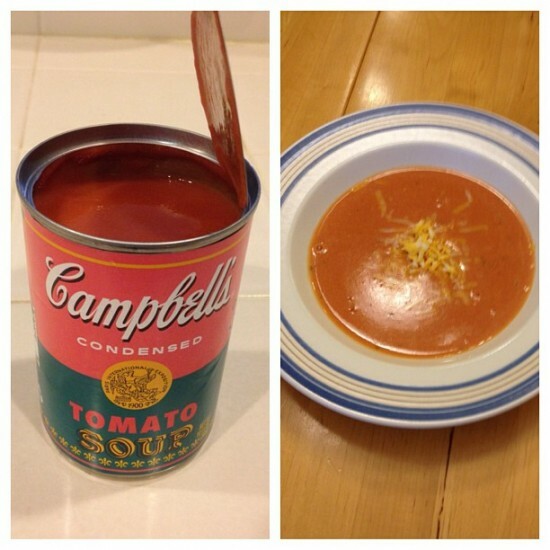 That’s when Campbell’s product manager, William P. Macfarland, wrote Andy a fan letter and sent a couple cases of tomato soup over to The Factory. Andy Warhol x Campbell's soup cans from Target. 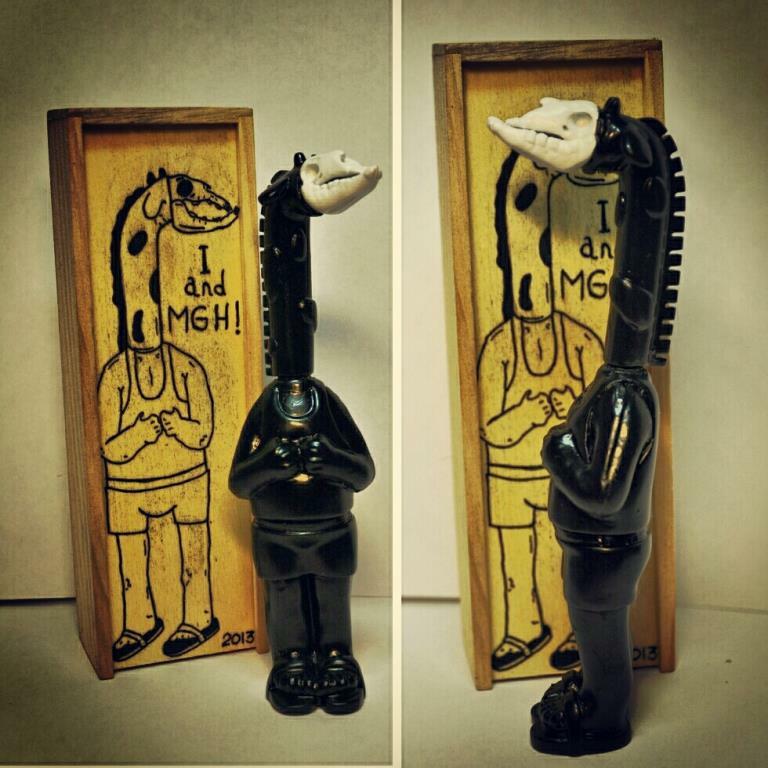 Photo by @munkyking. There are currently four versions of Andy Warhol’s Campbell’s Soup cans available at Target. The 2012 cans are actually the third time Campbell’s has released limited edition Andy Warhol-branded soup cans. They previously sold exclusive cans in 2004 through Giant Eagle Supermarket and in 2006 at Barney’s department store. 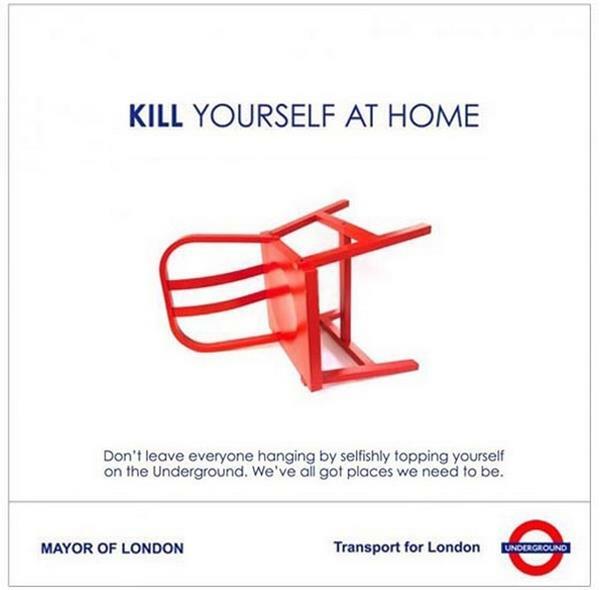 Compare and contrast the cans here. Andy Warhol x Campbell's soup cans from Barneys (2006). 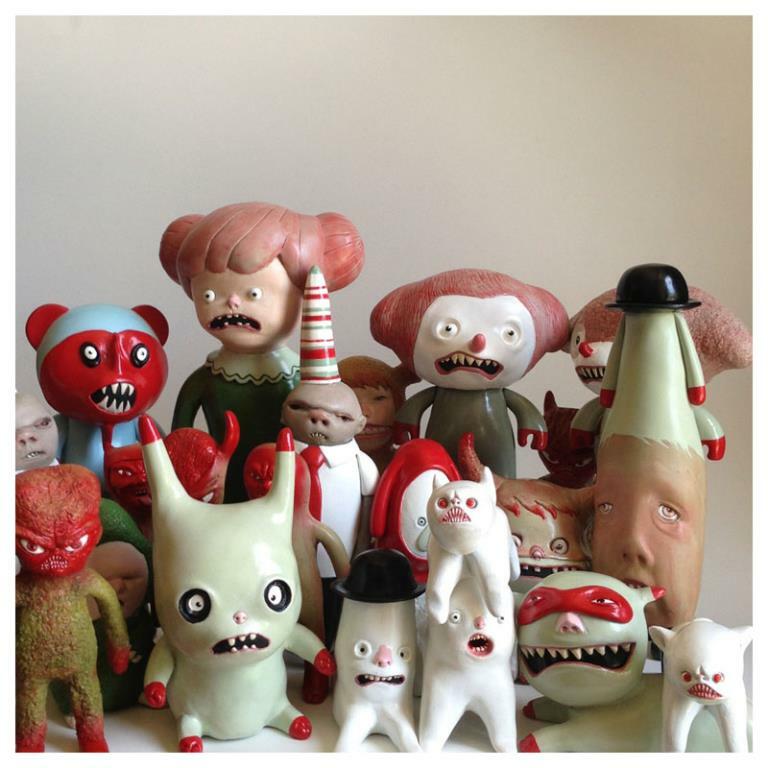 Photo by Gary Baseman. 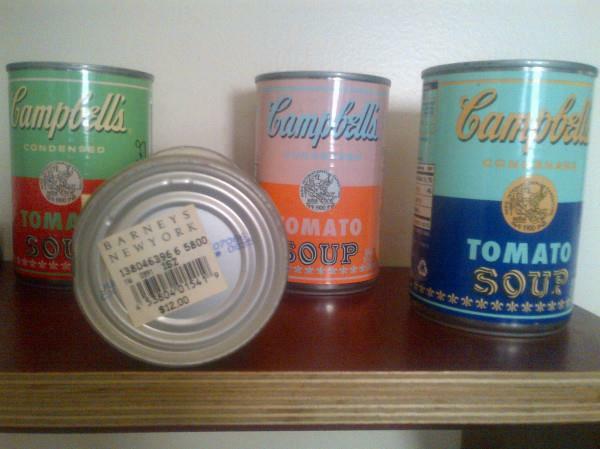 The Barney’s cans retailed for $12 each (simply by virtue of being sold at Barney’s New York). 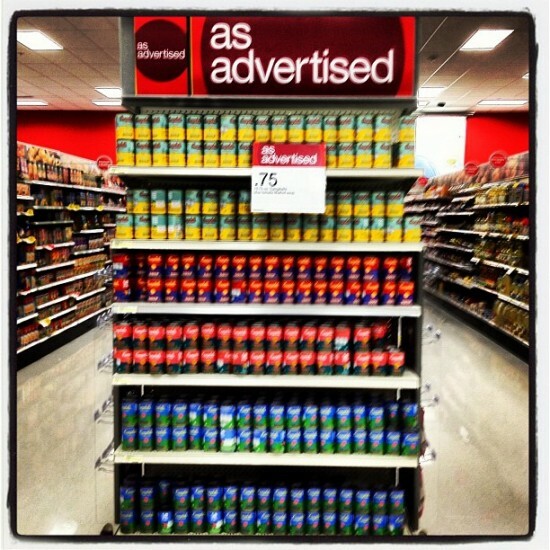 The Target cans are just 75 cents each, and they don’t appear to be in any kind of short supply. 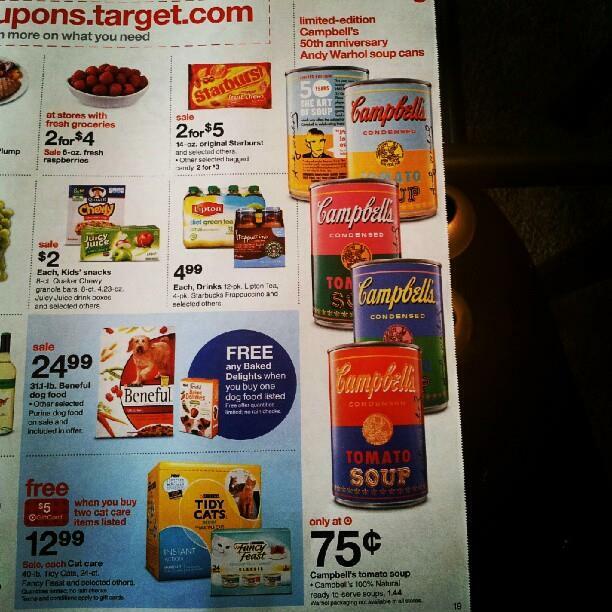 Target flier for Andy Warhol Campbell's soup cans. Photo by @jacquelynmarks. 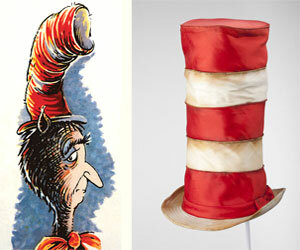 Nonetheless, the spirit of capitalism is alive and well in America! With the limited edition cans only available in US Targets, flippers are ready to gauge overseas pop art fans at markups 7-8 times the retail price. 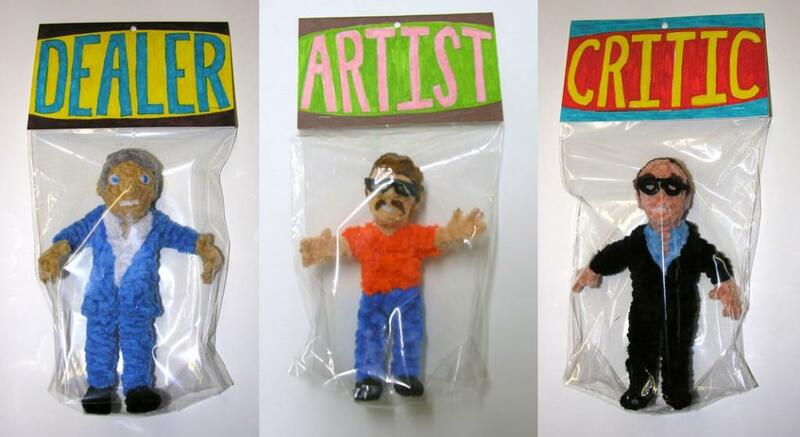 If you live outside of America, don’t pay these ridiculous eBay prices. 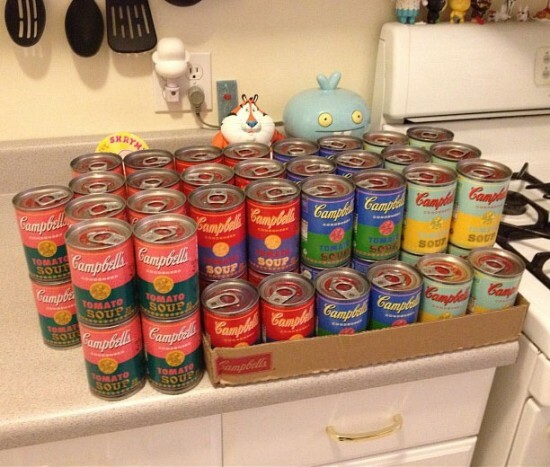 Chances are, you know someone who can score you some cans. As of yesterday, hashtags for Andy Warhol Soup Cans were in full effect on Instagram. Click through for a selection of photos from around the country. 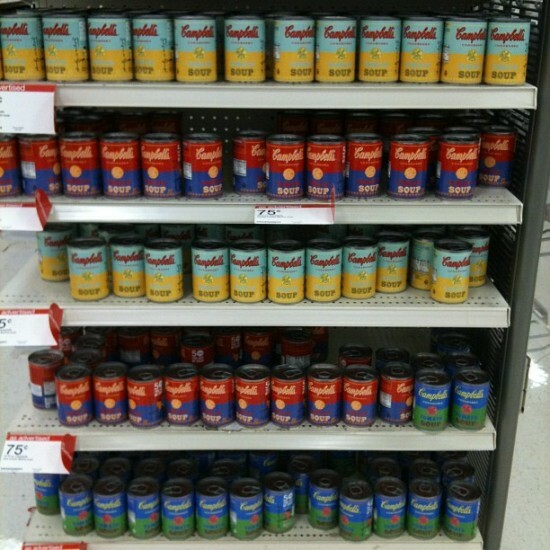 Andy Warhol x Campbell's soup cans at Target. Photo by @arrestedmotion. 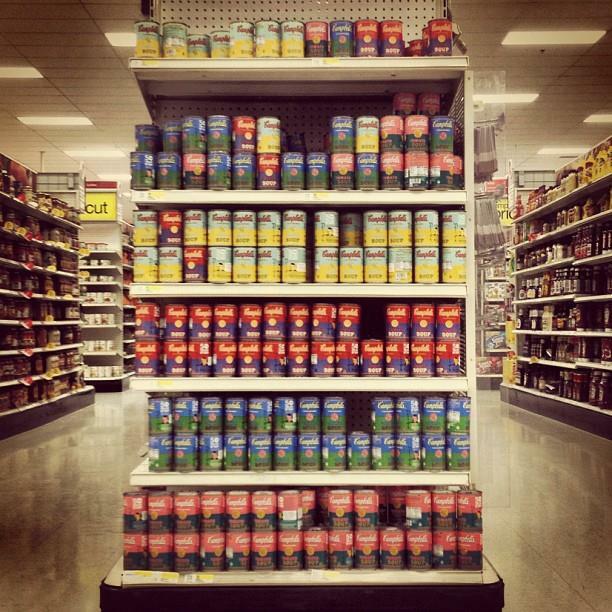 Andy Warhol x Campbell's soup cans at Target. Photo by @jeremyriad. Andy Warhol x Campbell's soup cans at Target. Photo by @theblotsays. Andy Warhol x Campbell's soup cans 2012. Photo by @the_status_faction. 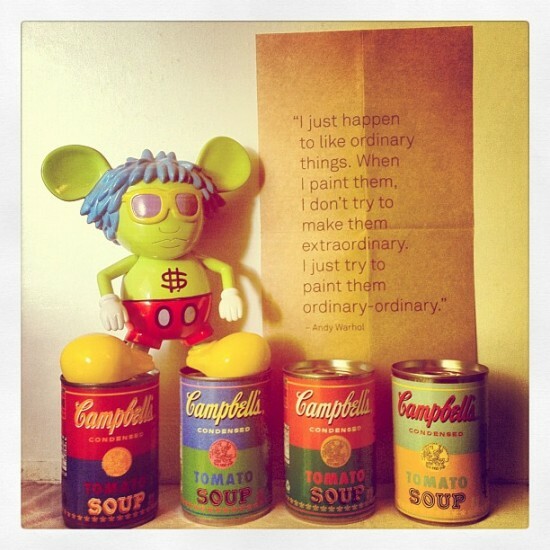 Andy Warhol x Campbell's soup cans 2012. Photo by @fivefoottharp. Andy Warhol x Campbell's soup cans 2012. Photo by @sookielover91. 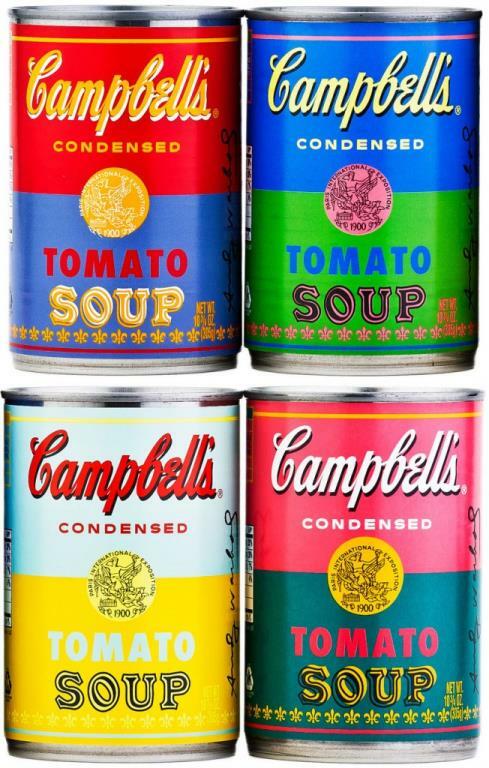 Andy Warhol x Campbell's soup cans 2012. 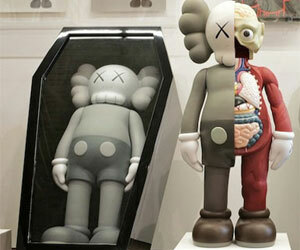 Photo by @krstipop. 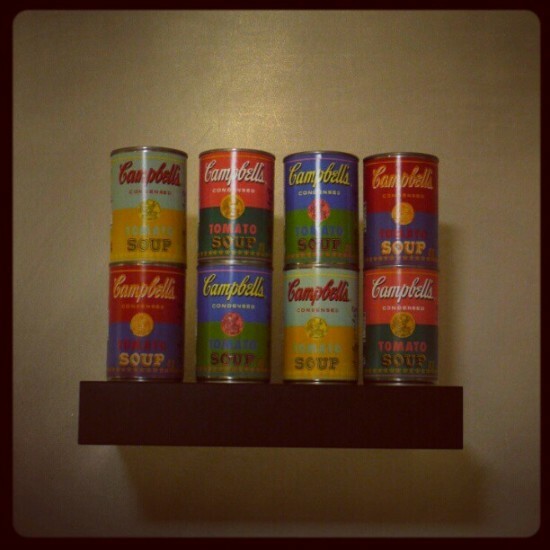 Andy Warhol x Campbell's soup cans 2012. 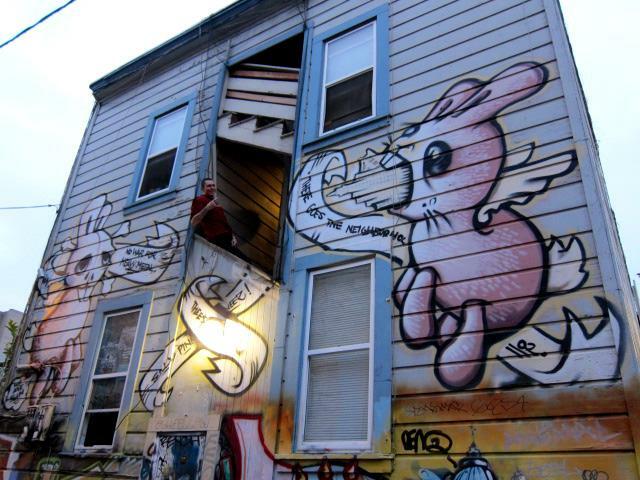 Photo by @eddiekrueger. 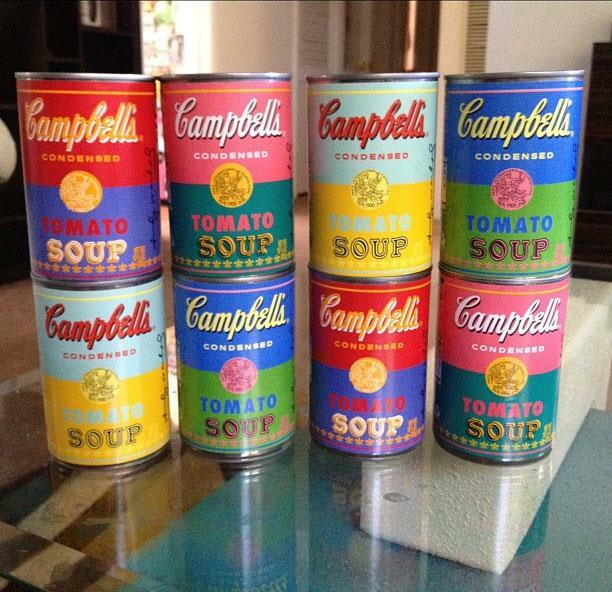 Andy Warhol x Campbell's soup cans 2012. Photo by @agent_r.